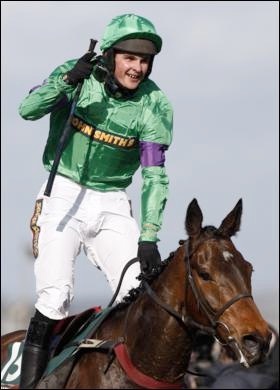 Congratulations to Comply or Die for winning the 2008 Grand National from Aintree on the 5th April 2008. The Grand National was won by the Joint favorite, Comply Or Die, who held off a strong challenge from King Johns Castle to make it first to the post by four lengths in the 2008 Grand National at Aintree. Comply or Die was ridden by the Irish jockey Timmy Murphy. Comply or Die was a David Pipe-trained nine-year-old horse and this is his first Grand National win after 11 previous attempts. Snowy Morning claimed third place, while Slim Pickings was fourth. The horse which I backed was Cloudy Lane, who also started as a 7-1 joint favorite, finished in sixth but was never really in contention. Murphy gave his David Johnson-owned mount a trademark ride as he cruised along with something to spare before asking for an extra effort off the last fence. Several horses, with Chelsea Harbour and Bewleys Berry joining the first four home, were vying for the lead as the race reached its closing stages, but it was Murphy who found the extra gear to claim the victory. "I can't believe it yet, it's the best ride I've ever had over these fences," Said Murphy. "He got into a lovely rhythm and he jumped fantastic, he picked up again when Paul (Carberry, on King Johns Castle) came at me. "It's not sunk in, I'm delighted for David Pipe and my boss David Johnson - it's a race he's always wanted to win." Milan Deux Mille was the final horse to complete the four-and-a-half-mile course in 15th place, with 25 horses failing to get over the 30 fences.